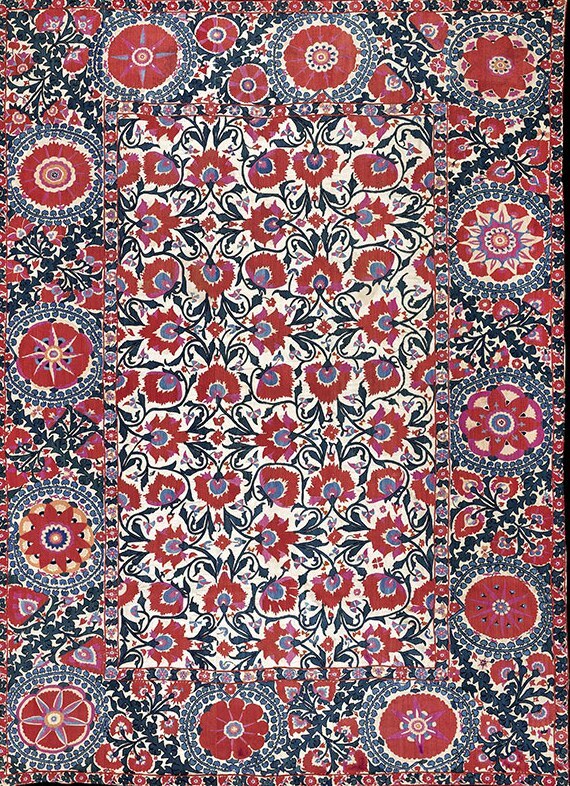 Rectangular, the natural field embroidered in crimson, pink, blue and black with a larger meandering vine bearing stylised flower heads, the borders with large floral roundels with trailing floral vine between, backed. 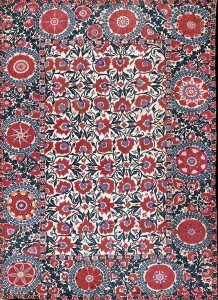 267 x 198 cm. Provenance: Sir William Burrell; his daughter Sylvia (Marion); and thence by descent. 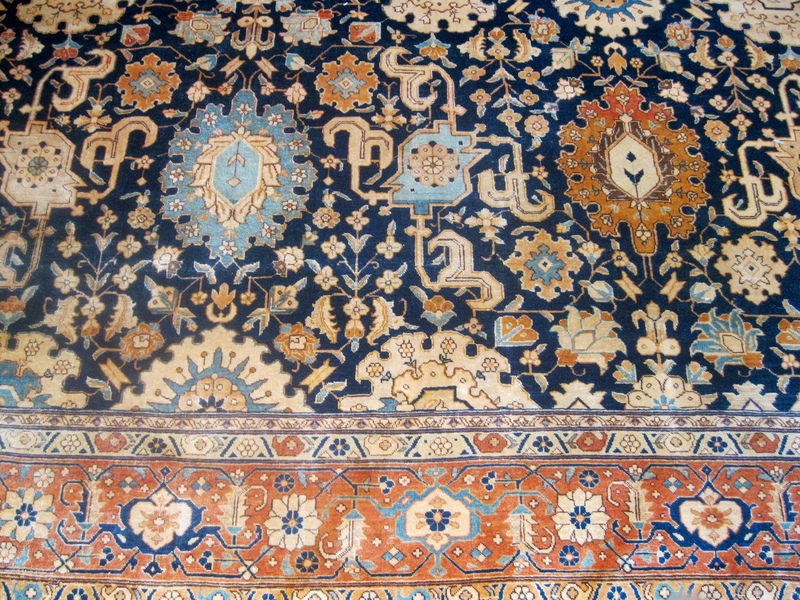 Shiraz Antique Rugs offers best Persian & Oriental Rugs, carpet cleaning & Rugs Repairing services by our professional carpet cleaners In Norwalk Westchester, Stamford, Fairfield, Greenwich, Darien, Westport, Connecticut CT, USA. for any Rugs & carpet related query please feel free to call 203-428-5195. This entry was posted in Oriental Rugs & Carpets. Bookmark the permalink.